WASHINGTON (AP) — Soldiers, citizens in wheelchairs and long lines of others on foot wound through the hushed Capitol Rotunda on Tuesday to view George H.W. Bush’s casket and remember a president whose legacy included World War military service and a landmark law affirming the rights of the disabled. 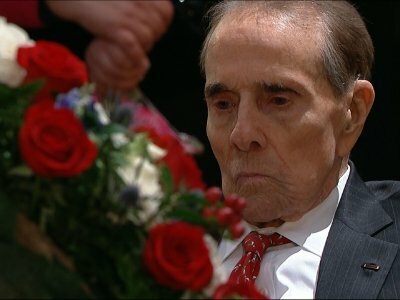 Bob Dole, a compatriot in war, peace and political struggle, steadied himself out of his wheelchair and saluted his old friend and one-time rival.